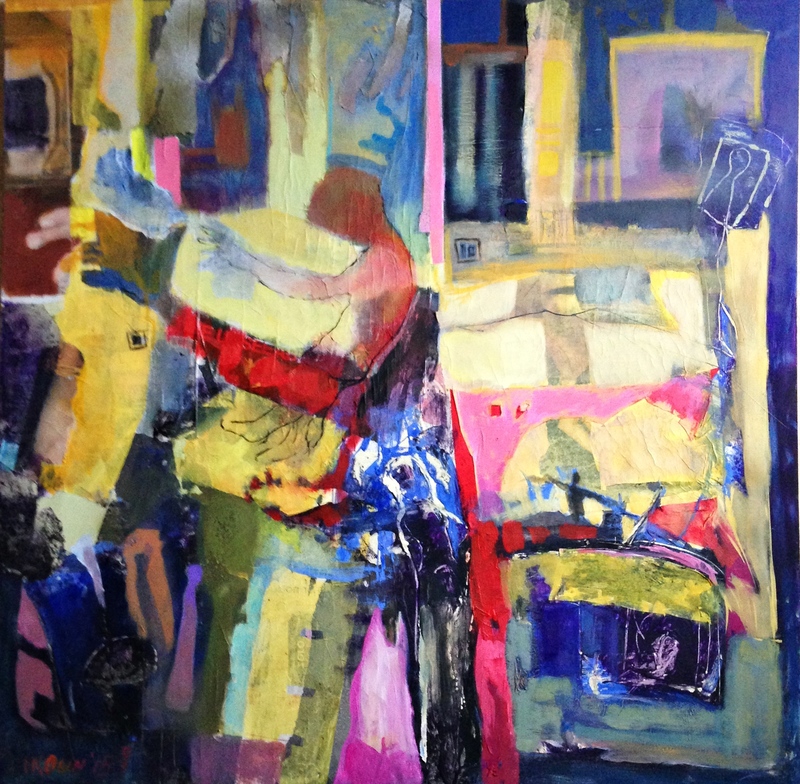 Coloured paper and found images collage with acrylic and oil finish, 96/96 cm, exhibited at the Fleet Gallery,St.Leonards-on -sea, E. Sussex, May-April, 2015. The multi-layered work on stretched canvas was on display at Patrick’s gallery for a month, as part of my one-man show there. With great thanks to the host for the amazing time and the opportunity.